Memorial Junior High School Putting the Children First! 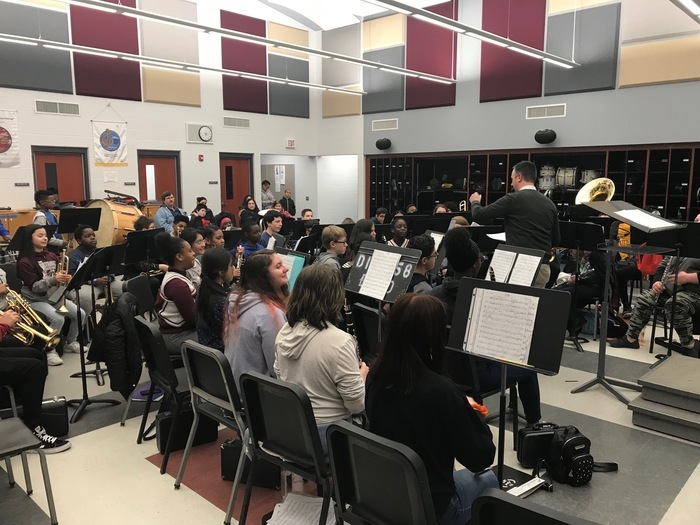 Memorial Junior High School's Concert Band was treated to a wonderful clinic on Thursday, March 7 from guest clinician Mr. Nendza, Director of Bands at Jack Hille Middle School in Oak Forest. Mr. Nendza's visit and clinic was part of the Music Department's Music-A-Thon annual fundraiser. 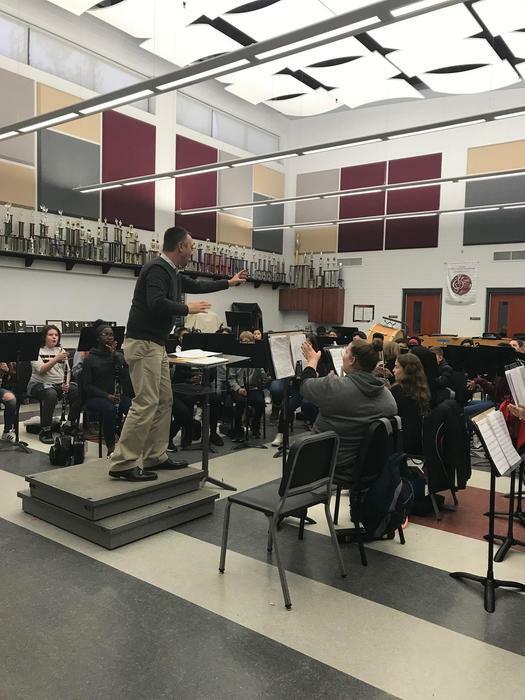 He offered great constructive feedback to help the band improve as they prepare for their performance at the IGSMA District Competition this Saturday. Good luck band! Memorial Junior High sent 11 students to North Central College on Saturday, March 9 to complete in the Regional Science Fair. Two are advancing to State on May 3-4: seventh grader Ainsley Grant and eighth grader Craig Morrison. Congratulations! Thanks to Assistant Principal Mr. Paredes, Science Department Chair Ms. Schroeder, and Science Teacher Mrs. Bonaire for being there to support our students. Memorial's Black History Program took place on Thursday, Feb. 28th at 5:30 pm. During the program, students displayed their talents while celebrating the important contributions of African Americans in our American History. The students demonstrated wonderful performances that included singing, dancing, acting, and amazing monologues portraying the speeches of notable African Americans. 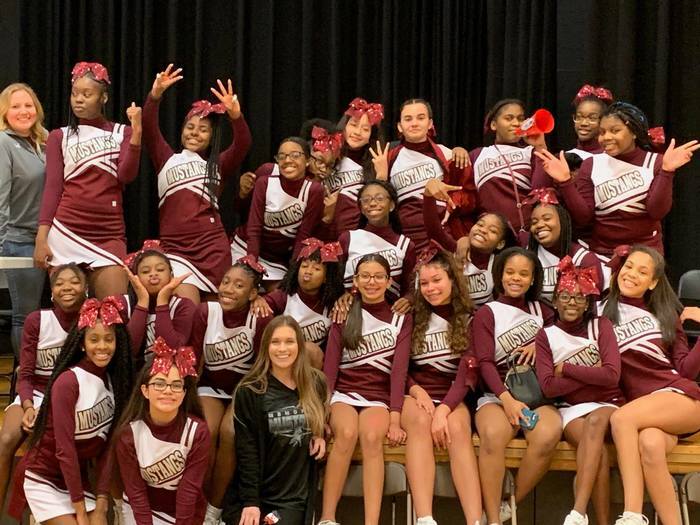 Thanks to Ms. Anthony, Mrs. Davis, Mr. Harlston, Mr. Schmidt, Mrs. Scott, Mr. Thompson, and Ms. Washington for helping make this program a great success! 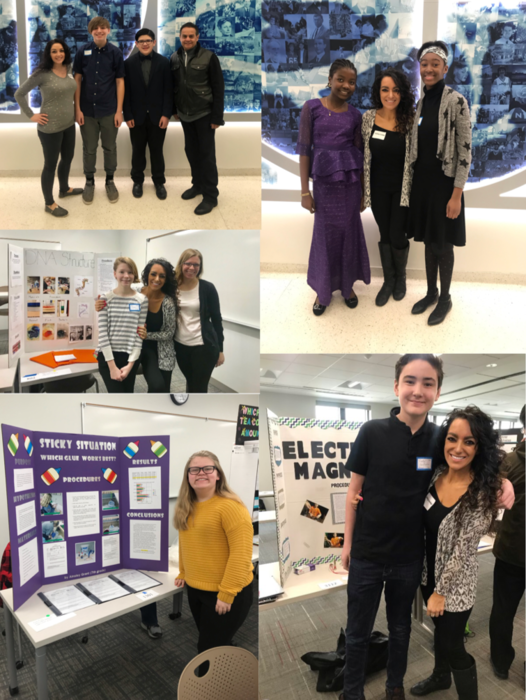 Memorial Junior High School's Area Science Fair took place on Saturday, February 16 and was a big success! A total of 126 students participated - almost 30 more than last year - including 17 from our neighboring Sunnybrook School District 171 . 52 projects were rated Outstanding and 11 students are moving on to Regionals at North Central College. Thanks to Science Department Chair Ms. Schroeder and all of our science teachers, judges, and staff for making this a great event! 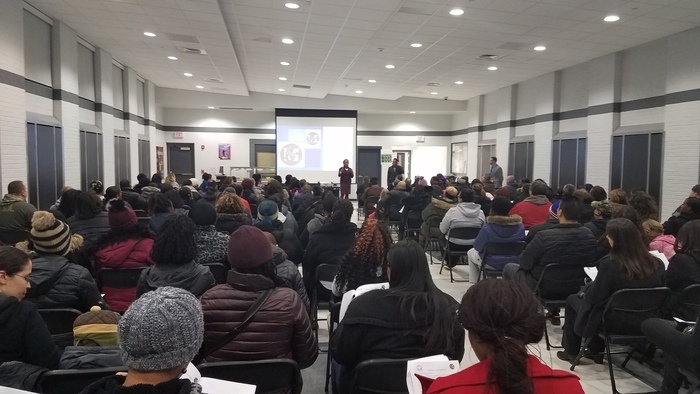 It was standing room only at Memorial's Eighth Grade Parent Night on February 13, 2019! All parents received an informational packet that was translated into Spanish thanks to Mrs. Boshears, who also interpreted during the presentation. Dr. Ross, Mr. Paredes, Mr. Herron, Dr. Carter, and Mrs. Barbosa were also on hand to assist with questions. 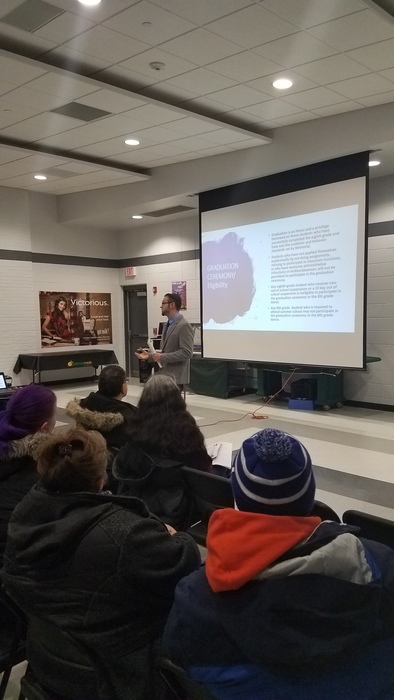 A special thanks to T. F. South Assistant Principal Mr. O'Rourke for sharing the high school open house presentation with our parents. On Thursday December 20th, Memorial Junior High School’s etiquette course “Guys with Ties and Girls with Pearls”, celebrated the end of the program with a formal tea party. 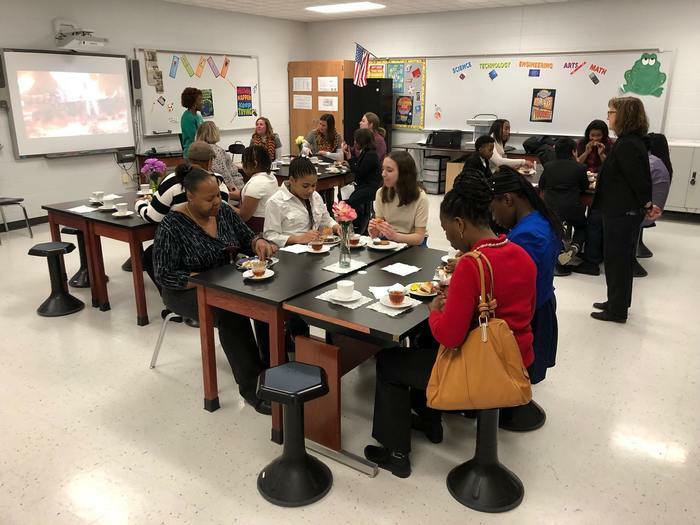 In the company of their adult guests, teachers and administrators, students were able to practice the skills they've learned; including introductions, proper handshakes, making polite conversation, dressing for success, and table manners. Every school year the staff at Memorial Junior High School works to educate and safeguard our students from acts of bullying. As we began our second semester, students participated in an anti-bullying assembly with guest speakers Vincent Gray and Brian Kizer, Sr. from Follow Your Dream. 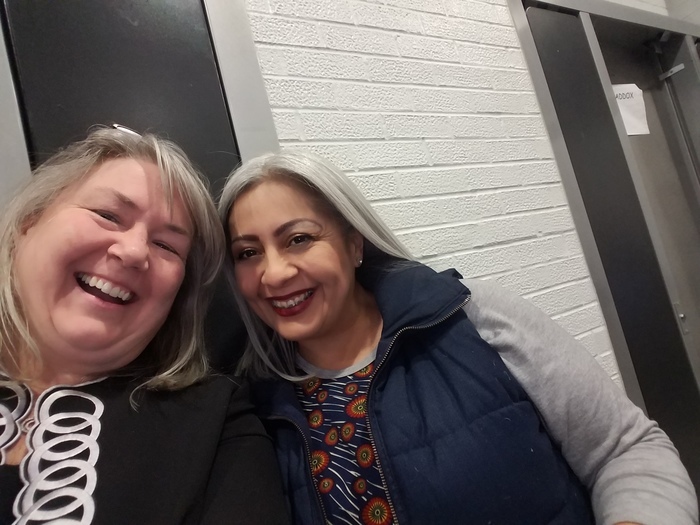 Both speakers shared their personal experiences with bullying in a powerful, educational format that opened the minds and hearts of our students. 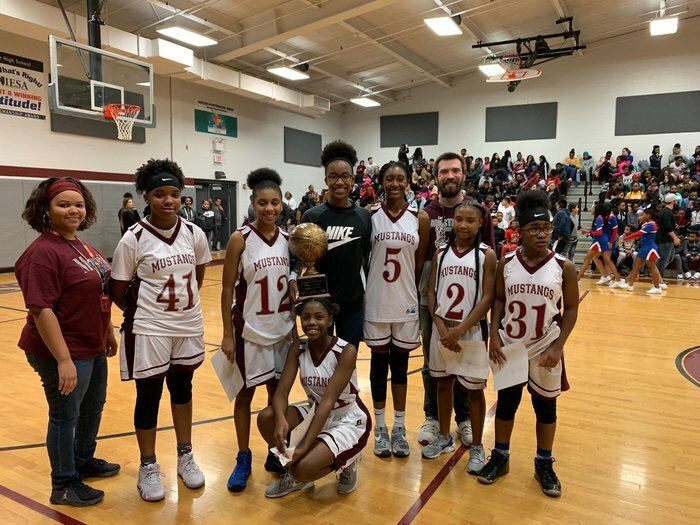 On Monday, December 17, Memorial Junior High swept the Crosstown Classic with the girls winning 47-19 against Heritage Middle School and the boys winning 49-33. 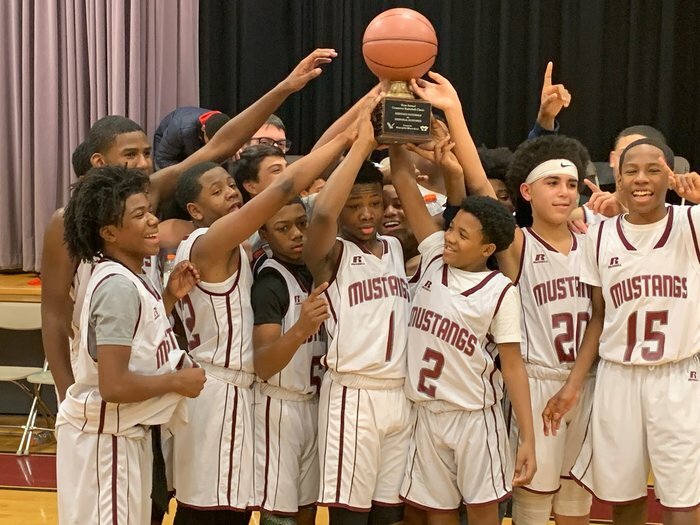 Congratulations to our basketball programs and thanks to Ofc. Pierce of the Lansing Police Department for continuing to support this great event! 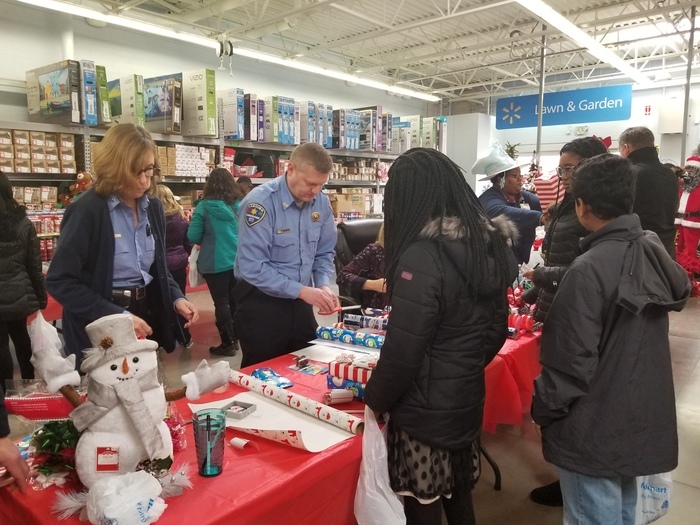 On Thursday, December 13, Memorial Junior High participated in Shop with a Cop with the Lansing Police Department. 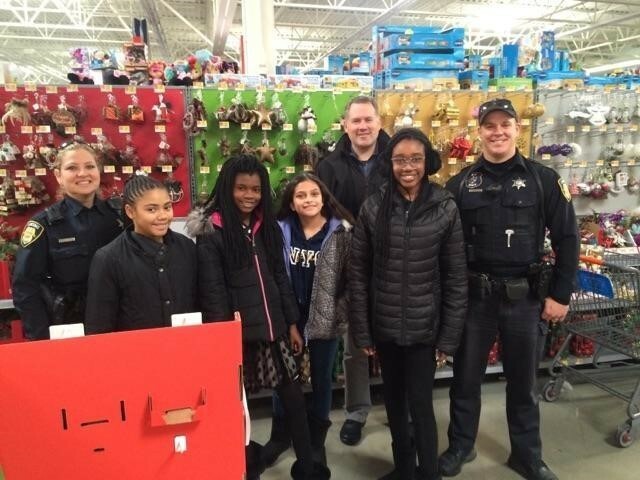 Students from Memorial and Heritage were driven by the police to our local Walmart on Torrence and given a $50 gift card to buy gifts for themselves and family. 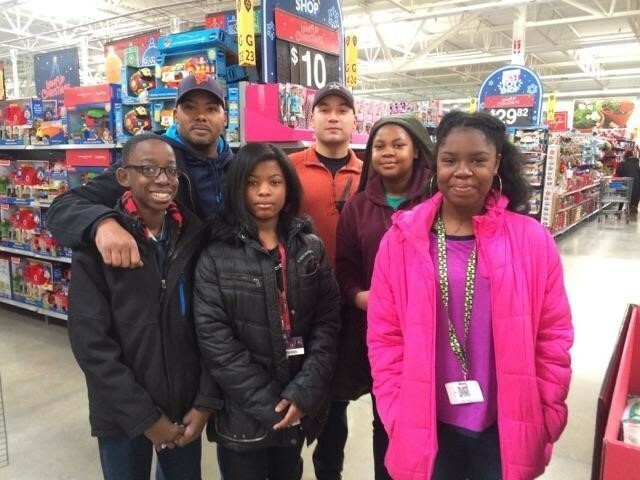 We had a total of 15 Memorial students participate (11 who attended the shopping trip and 4 more who were unable to attend but still received the $50 gift card). 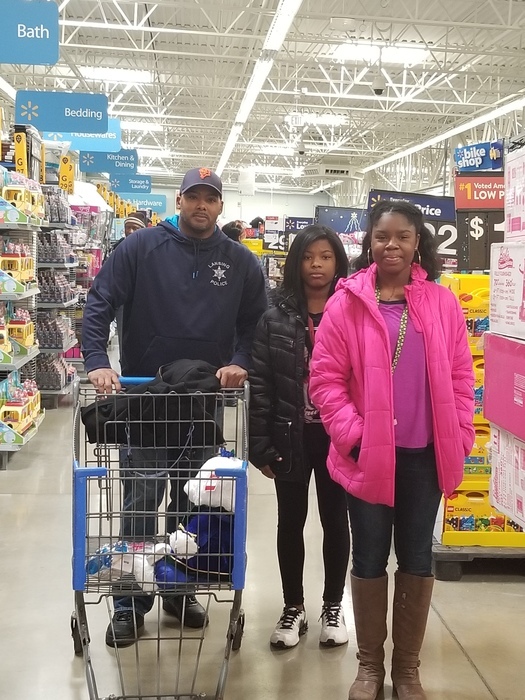 There will also be 15 students (5 each from our 3 elementary schools) who will also receive gifts from the Lansing Police. This event was spearheaded by Officer Wilson Pierce. 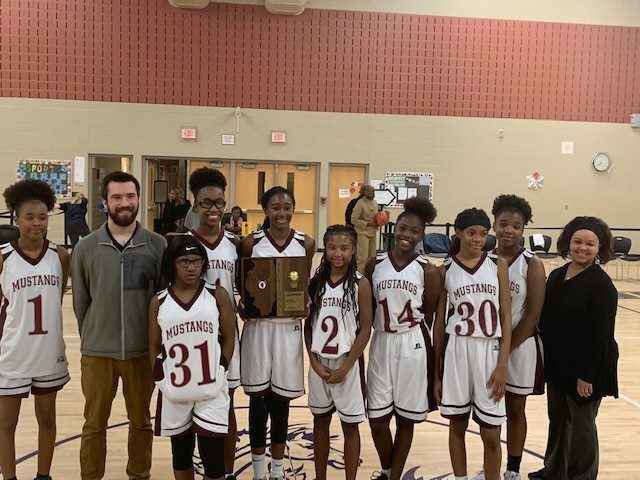 Memorial's 8th Grade Girls Basketball Team defeated Oak Prairie on Wednesday, December 5 by a score of 62-44, winning Sectionals and earning a trip to State! 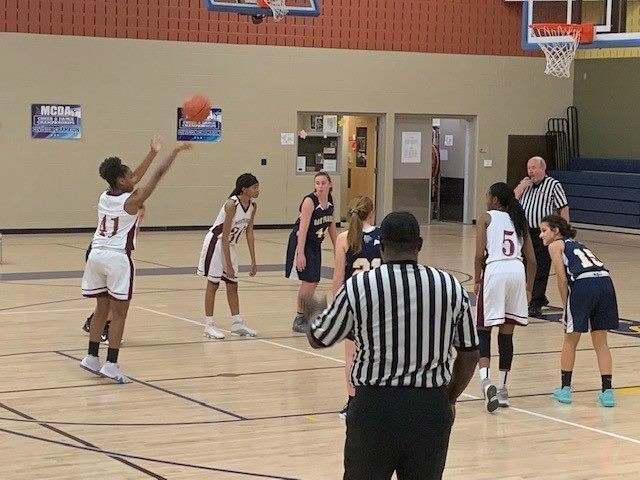 The girls play against Rochester at 11:30 AM tomorrow at Meridian High School, 728 S. Wall Street, Macon, IL 62544. 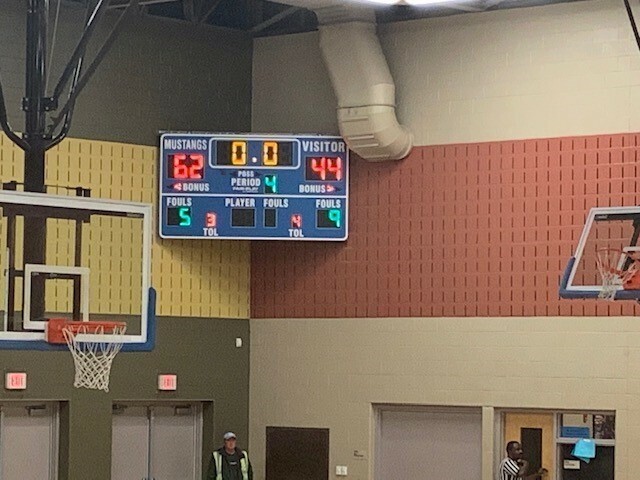 This is the second consecutive year Memorial's girls basketball program has gone down to the State Tournament! 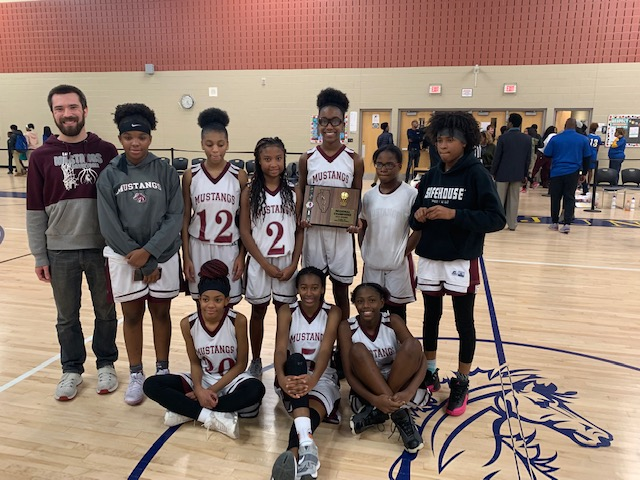 Congratulations is in order for Memorial's 8th Grade Girls Basketball Team, who just won the IESA Regional Championship convincingly against Prairie Hills! 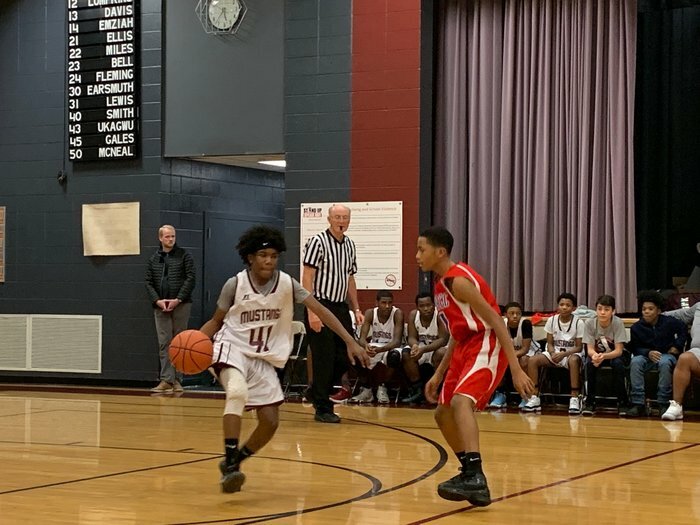 They play in Sectionals this Wednesday, December 5 at 6:30 PM against Oak Prairie Junior High. The game will take place at Prairie Hills in Markham. Go Mustangs! 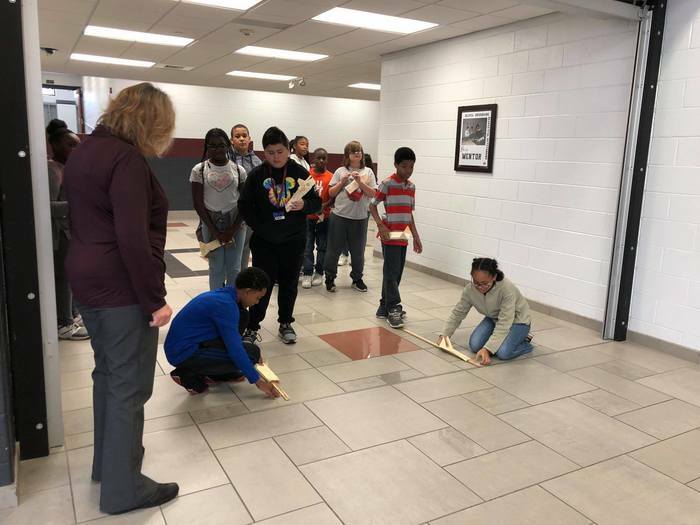 STEM at Memorial: sixth grade students in Mrs. Schab's class testing their skimmers, which were designed and built with the goal of traveling the furthest distance. 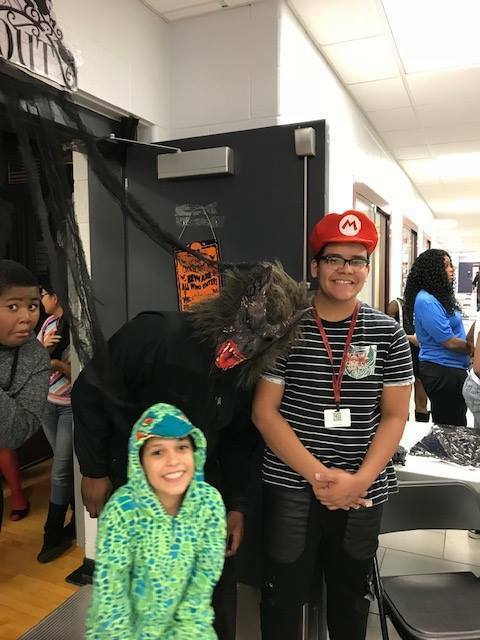 Memorial's Halloween Dance, "Nightmare on Ridge Road", took place on Friday October 26. 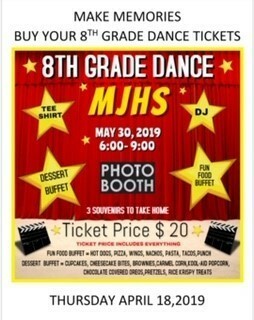 This event is sponsored by the MJHS Student Council. The members of Student Council worked very hard to develop a theme, create and display decorations, and plan this event. 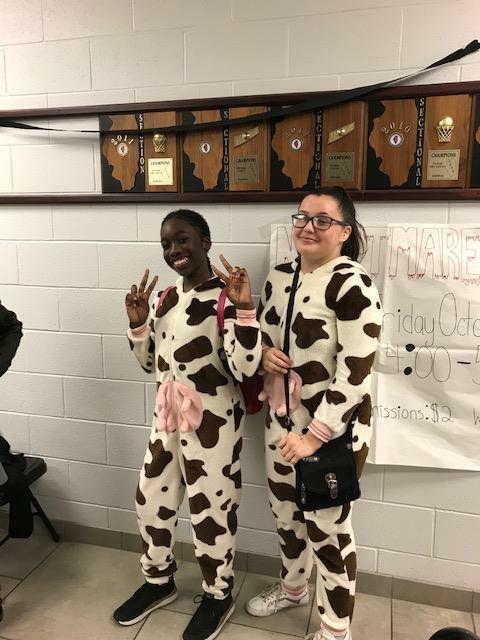 The event included a guest DJ, concessions, and a photobooth created by the Drama Club. 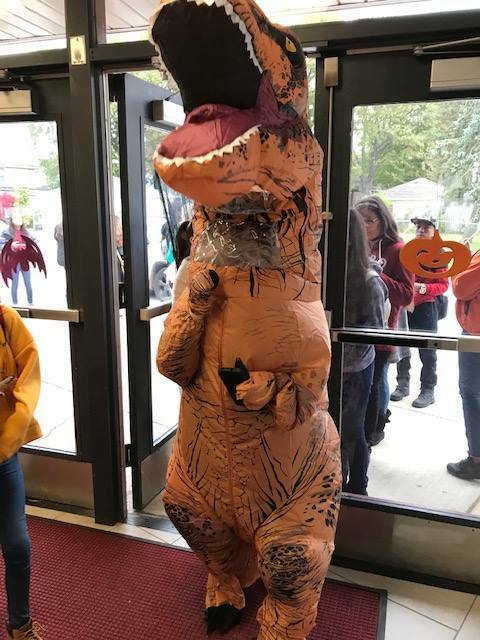 Students were able to dress in a creative costume, dance, and have fun together. It was a fun experience for all involved! 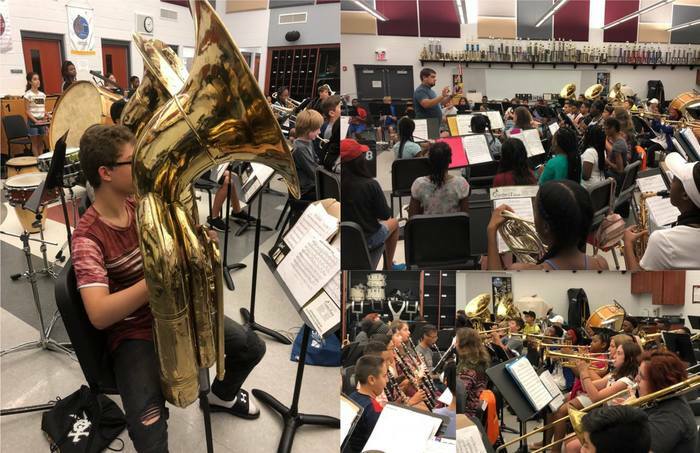 Summer Band has been hard at work under the baton of Mr. Becker preparing for their upcoming performance at Memorial Junior High School, which will take place on Friday, August 17 at 11:00 AM. A total of 74 students in grades 6-8 are involved. We hope to see you at the performance!